The Japan Radio Company NRD-93 is impressive in appearance and performance. The display is large. The knobs are large. Each mode has a separate button. Each bandwidth has a separate button. There are separate knobs for RF Gain, Volume and Pass Band Shift. This receiver is a dream to operate and performance, as you would expect, is second to none. Coverage is 90.00 to 29999.99 kHz with 10 Hz display in LSB, USB, AM, CW, DSB (AM), FSK (RTTY) and FAX modes. 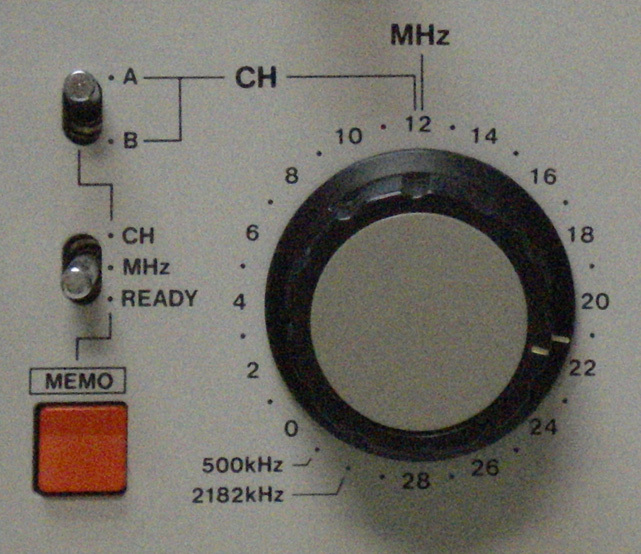 The emergency channels of 500 and 2182 kHz are immediately accessible off the band/memory selection knob. 60 Memories are available. Supplied bandwidths include: 6, 3, 1 and 0.3 kHz. The built in 60 channel memory stores: frequency, mode and bandwidth. Other refinements include: AF Filter, NB, Lock, Dimmer and AGC selection. 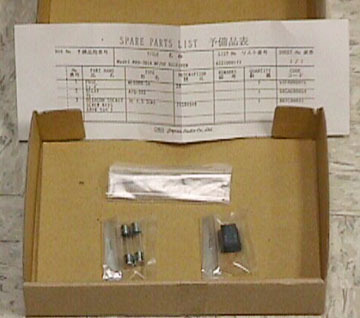 The radio comes with the NVA-92 external speaker and a spare parts kit that includes fuse and relay hex socket screw keys. The AC input supply voltage is user selectable from the back panel. 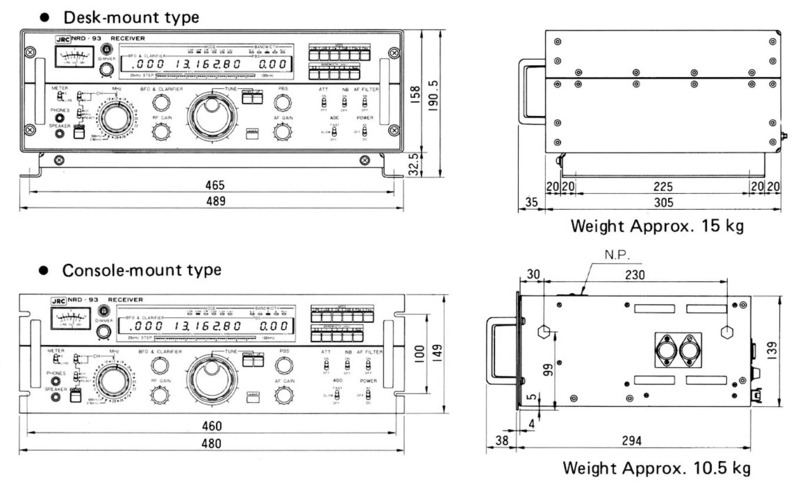 The NRD-93 is designed for mounting in a standard 19 inch commercial rack. It is shown above in its optional MPBX10832 desktop cabinet. The NRD-95 is similar but with ISB mode and remote operation capability.